Do you love the music of legendary pop/soul singer Dusty Springfield? I sure do. 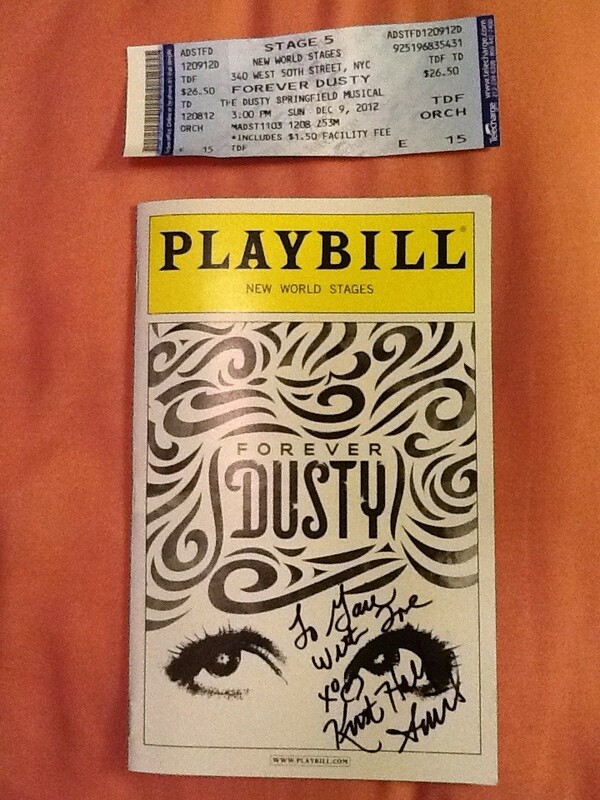 So it was a super fun treat to attend a Sunday matinee performance of the musical, Forever Dusty this past weekend at New World Stages, a really cool, multi-theater off Broadway venue. Forever Dusty tells the fascinating story of the life of Springfield (born Mary O’Brien), whose career spanned four decades before she passed away from cancer in 1999. Everyone knows Dusty’s music, but her personal life was just as colorful as her songs. I loved this play so much! Actress Kirsten Holly Smith does a fantastic job in the lead role and literally channels Dusty’s spirit and one-of-a kind, smoky smooth voice. Many of Dusty’s hits are performed and there is an excellent live backing band to add to the authenticity of the experience. My favorites were “Son of a Preacher Man” – one of the most classic pop songs of all time – and “The Look of Love” – which was just insane. If you are looking for a new play to see or to take out of town friends to, and you enjoyed plays such as Memphis or Love Janis, you will adore Forever Dusty. New World Stages is located at 340 West 50th St, between 8th and 9th Avenues at World Wide Plaza (right by the 50th Street stop on the C and E Trains). Tickets are an excellent value at $69 – $89. Get purchasing information at This Link.